The proposed development includes 416 single-family homes on small clustered lots with the majority of the land left as open space, in an attempt to embrace smart growth. It also slated to include 73 apartments or condominiums, 120 senior units, a 150-room hotel, a 10,000 square-foot conference center, a nine-hole golf course, parks and vineyards on a 961-acre lot off Price Canyon Road. 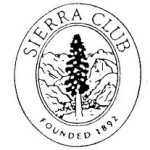 On Monday, the Sierra Club filed suit, claiming the EIR inadequately planned to protect wildlife and mitigate carbon pollution emissions carbon pollution emissions. The Sierra Club also claims that environmental document omitted a management plan for a wildlife reserve. Likewise, the Sierra Club argues that city of Pismo Beach failed to objectively analyze the toll the project would take on the existing water supply. The lawsuit also names BHT II Pismo, a limited liability corporation that owns three properties making up the Spanish Springs proposal. I wonder how BHT II Pismo, LLC is different than BHT II Spanish Springs, LLC or BHT II La Quinta 74, LLC or BHT II Kerman 67 LLC or heck, even BHT II Fontana 201 LLC or . . . BHT II Madera 113 LLC. They sure have a lot in common though. All Delaware companies and all with the same Westlake Village, CA entity address. Wow. I’ve never said this before and I doubt that I’ll ever say it again, but here goes: Right on Sierra Club. It’s legal actions like this that keeps the economic engine from restarting…and one day if some brave independent scientist discovers scientific proof that carbon is not the pollutant the Sierra Club believes it to be…can we sue them? Rambunctious, if it takes breaking the law, screwing taxpayers, and harming the environment unnecessarily, and making out community uglier, then perhaps you should look to some other way of “restarting the economy.” And you know what? The economy is going to go its own way whether this lawsuit was filed or not. Currently, the Sierra Club is demanding that the City of Pismo abide by THE LAW. Would you prefer that the City of Pismo be allowed to break the law without sanction? You promote law breaking? Is THAT your best way of “restarting the economy”? Perhaps you better think this through. It only raises the cost of construction/housing for everyone. If the law is being broken and the taxpayers are getting screwed and the environment is being harmed then something should be done. I however have seen no evidence that any of that is happening. I assure you that if proof of these things are produced I will be on your side…deal? If you want to see those allegations proved or disproved then you should want to see the lawsuit proceed to court. Secondly, I think you are engaging in pure speculation, and perhaps erroneous assumptions, in regards to the ramifications to the cost of construction. If this lawsuit curtails the Spanish Springs development, the result will be less demand for construction in the area and thus the costs for construction elsewhere in the area could go down, not up. Also, i doubt you an cite any evidence that would prove that if the development proceeds that housing costs in the area will decrease. People like to spew such cliche’s but the truth is that there is no guarantee whatsoever that housing prices will drop just because more houses are built. Sure, it’s a matter of supply and demand, but a new development and the ensuing promotion, etc, could actually increase overall demand for housing in the area. So, bottom line, is you really can’t honesty and fairly and with any certainty say that this lawsuit will raise the cost of housing for anyone. Wiserguy….I don’t even know where to begin except to ask you a question…Why are you asking me to prove anything? If you claim that this development is a hazardous venture then you need to bring more to the table than you have thus far. If a developer is going to write an estimate for a job he must consider all costs involved…including the cost of potential litigation. Those costs get past down. Not only to home purchasers but to renters as well. The more expensive home development gets the higher home prices become and that increases the monthly rental expenses. C’mon man… don’t you see that? I’m not asking your to prove anything. What I AM saying is that you couldn’t prove the validity of your statements/allegations even if you tried. The lawsuit alleges that laws meant to protect the environment and citizens are not being followed. If the lawsuit proceeds the courts will decide the validity of the allegations. The foundation of your argument seems to be that if developers and municipalities are allowed to skirt laws intended to protect citizens and the environment, then the price of homes and the cost of renting will be more affordable. In theory, that might be true, but in practice and in this situation, I doubt that will happen. More likely the developers will pocket any savings and Central Coast residents and the environment will be left paying the cost of what results from the laws being broken. Also, what you don’t seem to have tried to include in your financial speculation is the cost of water, an increasingly precious and scarce commodity. With increased demand for water because of this project, the price of water for residents throughout Pismo will likely rise, especially because it looks like new sources of water will need to be tapped and, if we judge by what has happened in the past, such increased costs are spread across the community as a whole and not simply to the residents of the new development. Bottom line is that this is a complicated issue and shallow, knee-jerk blanket statements don’t cut it if you really intend to get down to the truth of the matter. But if you want my guess, I would say that if this project proceeds nobody reading this forum will see the cost of their housing or their utilities decrease because of it. And I would bet that some people’s water rates will rise because of it. I can’t prove it, but I doubt anyone can prove me wrong either or even make a strong case against my theory. How in the world does this “raise the cost of … housing for everyone?” What a dumb thing to say. Believe what you will, but that doesn’t make it true. The cost of housing increases due to higher construction costs or increased fees or additional regulation and yes the cost of litigation as well as the lack of available housing. All of those things raise the cost of homes and that increases monthly rent and lease rates as well. It’s just basic econ 101.